Sgt. Myron D. McKinney, son of Mr. and Mrs. Alex McKinney, attended Hollister School, Edmond and Okla. A. 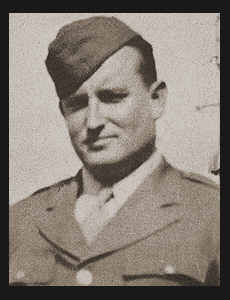 & M. Entered Air Corps in 1942 trained in Sheppard Field, Texas, Burbank, Cal. and served in San Antonio, Texas.